Before school starts, it’s a good idea to take a step back and think about goals for the year. Even if you are a freshman, it’s not too early to start working on your career. As a student going into my fourth year at Cal Poly Pomona, I am thinking about what I can do this year to build my skills and prepare for life after graduation. I have been adhering to some of this advice for a few years and just beginning on a few others. 1) Get some type of experience before you graduate, whether that is from a club, part-time job or volunteer opportunity. What’s important is to build skills through experience, even if that experience is not directly related to your dream job. Getting experience can help you develop your interests and hobbies. When I started writing articles my sophomore year, I had just switched my major from psychology to history. After writing and editing for two quarters I decided to follow my passion and major in communication with an emphasis on journalism. 2) Work on your professional portfolio. Make both a physical and virtual representation of the work you have done. This can be used in all fields. Whether you are an artist, engineer or writer, a portfolio will be a valuable way to show others the work you have done. An alumni I spoke to recently gave me this advice, which I had heard before but hadn’t entirely put into practice. One of my big goals this year is to make a hard copy and digital portfolio of all the work I am proud of. 3) Figure out who you want your references to be. Whether your future after graduation will include a job, grad school, looking for a place to live or all of the above, you will need someone who knows you well to back you up. Note that references can be from employers, professors, or people who have supervised you in a volunteer position. Think about how the references you’re considering view you as a person and professional before writing their name down. 4) Recruit plenty of professionals to critique your resumes. Yes, you read that right, I said resumes, plural. Have different versions of resumes on hand for the variety of jobs you may end up applying for. This advice has been given to me multiple times and I have found following it does make a difference. Employers want to know how the skills they want in an employee match up with what you have to offer, and that will change from company to company. Take your resumes and cover letters to the Career Center on campus for a thorough critique. Drop in advising is available Monday through Thursday from 11 a.m. to 3 p.m. See the Career Center website for more details. 5) Try something new. 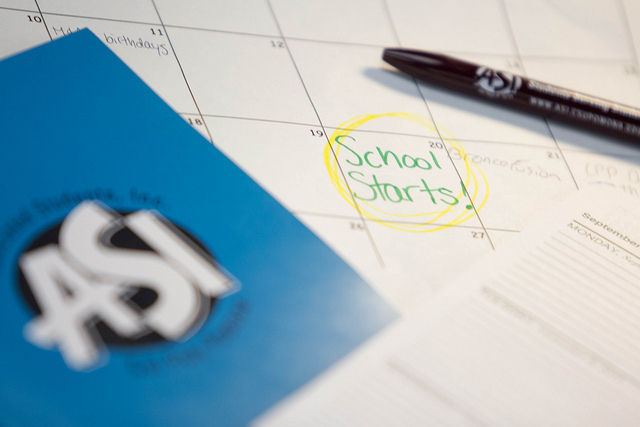 The start of the school year is the perfect time to begin again. As the leaves change color, you can turn a new leaf. Every academic year so far, I have made an effort to go out of my comfort zone and try something that interests me. This year, I plan on hanging around the Cultural Centers more and trying out a few clubs I have been meaning to go to since my first year. No matter what year you are in school or what commitments you have, there are ways to improve on your college experience. There are tons of opportunities to work on your professional career before graduating. Take advantage of them.